With the political conventions at an end and the parties' nominees for President officially locked in, the nation's eyes will now look ahead to November and Election Day. While this is always an exciting time for advocates of older adults and adults with disabilities, as it offers an opportunity to discuss and shape public policy, it is also an important time for the individuals who live in long-term care facilities. In this country, Presidential elections are like no other kind of election when it comes to media coverage and voter turnout, and they are often how people gauge their participation in politics. heartfelt patriotic duty that has been respected over the course of a lifetime. As a result, long-term care facilities should work to do whatever they can to encourage residents to vote and ensure they have access to vote. In October, the Consumer Voice will celebrate Residents' Rights Month with the theme "My Vote Matters" in an effort to raise awareness about how aging and disability advocates can help residents in long-term care facilities exercise their right to vote. But there's no need to wait until then to get started! In the months between now and November, each issue of The Advocate will feature at least one article about voting in long-term care facilities. In addition, the Office of the State Long-Term Care Ombudsman will be available to answer questions regarding the voting process or to provide information to long-term care residents about exercising their right to vote. This month, as the political ads ramp up, I hope you will join me in encouraging the right to vote among the residents and tenants you serve. It's a privilege they have earned and one that should be deeply respected. Since the launch of Medicaid managed care in Iowa, the Managed Care Ombudsman Program has been diligently advocating on behalf of members to ensure they continue to receive the care they need and fully understand their rights, responsibilities and opportunities under the new program. The Managed Care Ombudsman Program advocates for the rights and needs of Medicaid managed care members who receive care in a health care facility or are enrolled in a home and community-based waiver program. Advocacy, however, is more than complaint resolution or assistance with filing a grievance, appeal or fair hearing. It includes providing education, information, consultation, technical assistance or making a referral to the appropriate entity to ensure members have the information needed to make informed decisions regarding their care. The Managed Care Ombudsman Program serves as a resource and can assist with navigating the managed care system. Electronic versions of our communications materials and tools can be found on our website. Additionally, if you’d like to stay connected to the program to receive updates on managed care and deadline reminders, send an email to managedcareombudsman@iowa.gov indicating your interest to stay in touch and you will be added to the distribution list. The right to vote is one of our society's most basic rights - and one that American citizens do not lose or give up by moving into a long-term care facility. However, individuals residing in long-term care facilities often encounter barriers when it comes to accessing and participating in the political process, with a frequent concern being, "How do I vote?" US citizens who are eligible to vote and have not been judged mentally incompetent to vote must first register to vote - either in person, by mail or online. In Iowa, individuals can use the online registration process if they possess a driver's license or a non-operator's ID. To check if someone is already registered in Iowa, visit the Secretary of State's website. Provide scheduled transportation to and from polling sites during early voting and on Election Day. Tell anyone how a resident voted. More information about registering to vote and voting is available from the Iowa Secretary of State and The Consumer Voice. For additional questions about voting and long-term care facilities, contact the OSLTCO at (866) 236-1430. The Iowa Department on Aging, in collaboration with the Iowa Area Agencies on Aging and the Governor’s Office, is seeking the public’s support and assistance in identifying Iowa’s centenarians. The information provided will be maintained in a State of Iowa Centenarian Registry by the Iowa Department on Aging and will be used to send an invitation to a 2016 Centenarian Recognition event hosted by Governor Terry Branstad and sponsored by the Iowa Department on Aging and the Iowa Agencies on Aging. Each centenarian will also receive a signed certificate suitable for framing. To be recognized as a centenarian for the purposes of this program, an individual must be 100 years old or older by Dec. 31, 2016, and his or her primary residence must be Iowa. 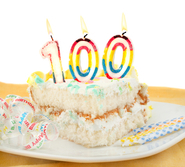 Your facility should soon be receiving a letter requesting information on all centenarians you serve. For pIf you have any questions or concerns, please contact Danika Welsch at (800) 532-3213 or Danika.Welsch@iowa.gov. The mission of the Office of the State Long-Term Care Ombudsman is to protect the health, safety, welfare and rights of individuals residing in long-term care by investigating complaints, seeking resolutions to problems and providing advocacy, with the goal of enhancing quality of life and care. Please feel free to forward this newsletter to others who may be interested.